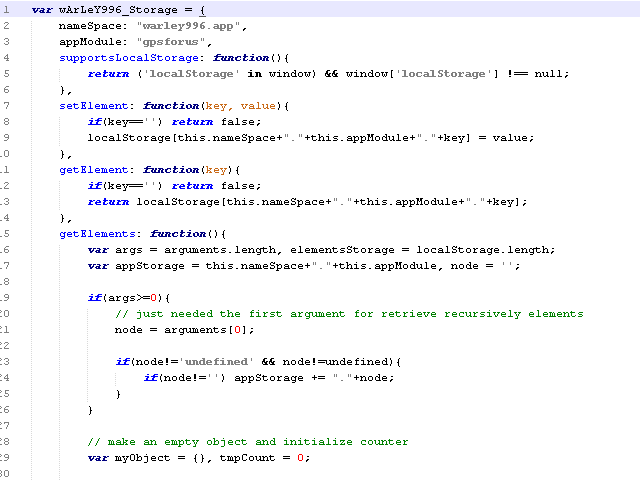 This object can set and get application data in the local storage of your browser. It can store and retrieve data associated with a given key names in local storage. The object prepends an application namespace and module to the data keys to assure that different applications do not overwrite the same key values.